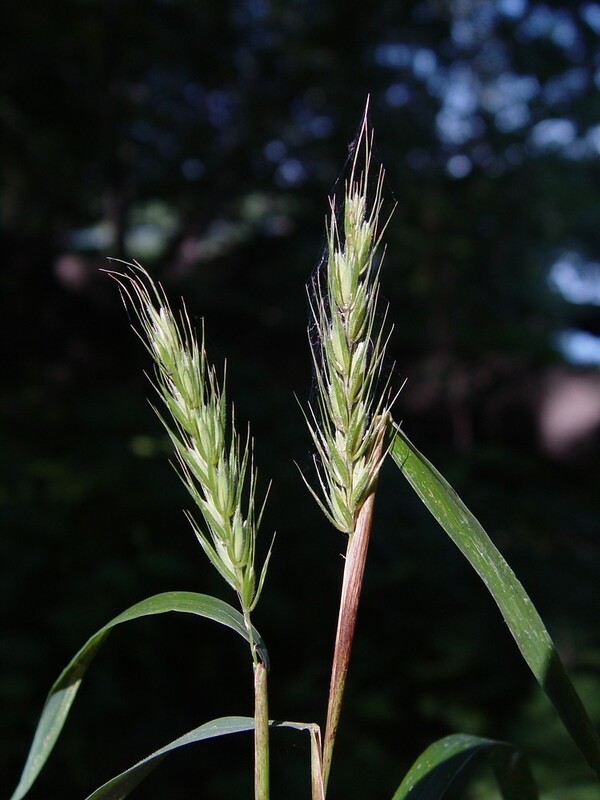 Various insects feed on common eastern wild-rye, ducks sometimes eat the seedheads, and geese feed on the foliage. 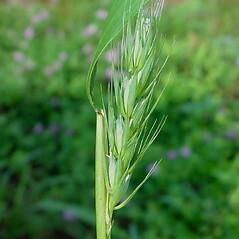 lemma awns absent or up to 3 mm long and leaf blades often somewhat involute, usually ascending (vs. E. virginicus, with lemma awns mostly 3-15 mm long and leaf blades flat or involute, usually laxly spreading). 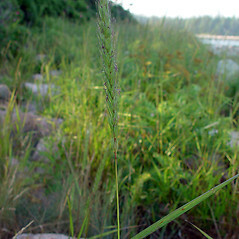 glume awns 10-25 mm long and spikelets loosely ascending (vs. E. virginicus, with glume awns 3-10 mm long and spikelets appressed). 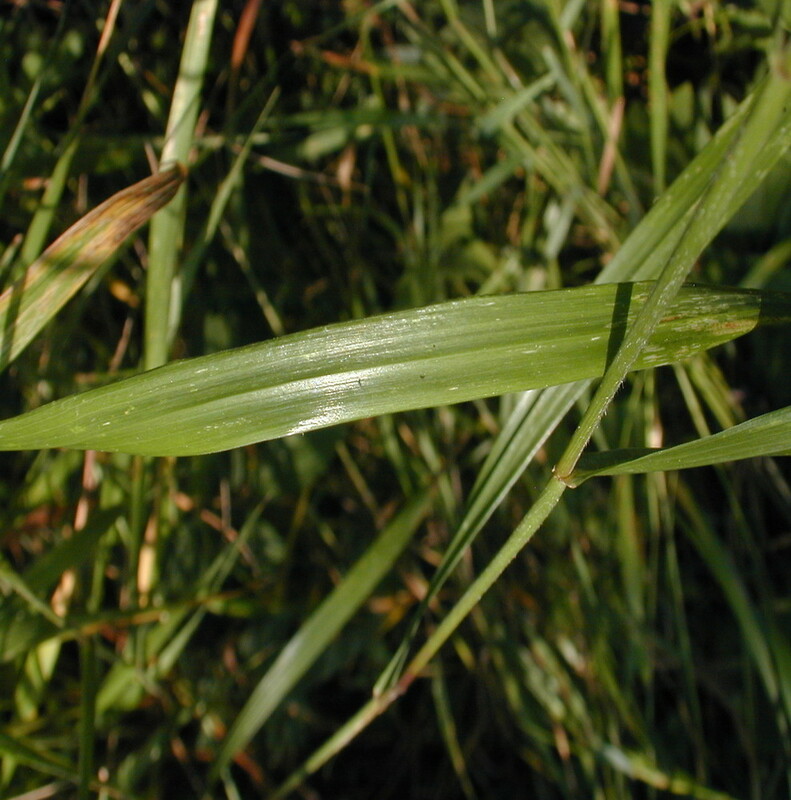 Elymus virginicus var. 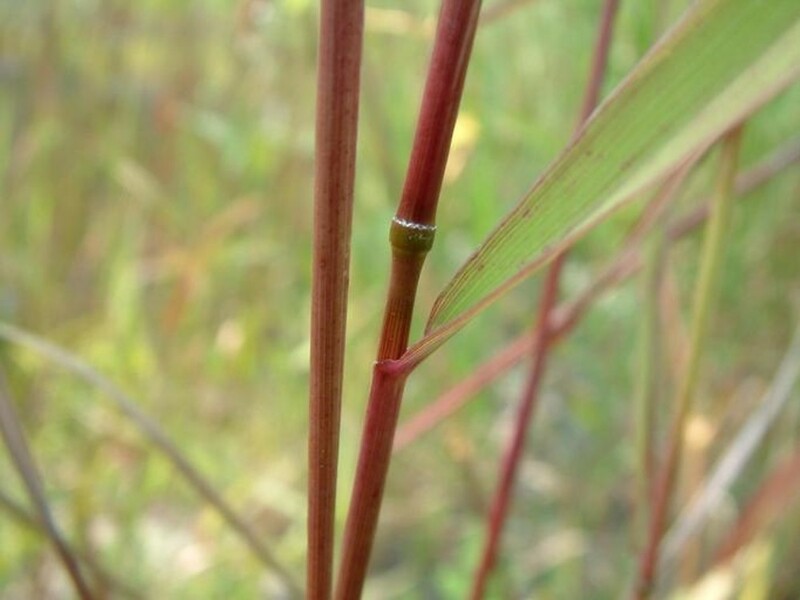 hirsutiglumis (Scribn.) A.S. Hitchc. 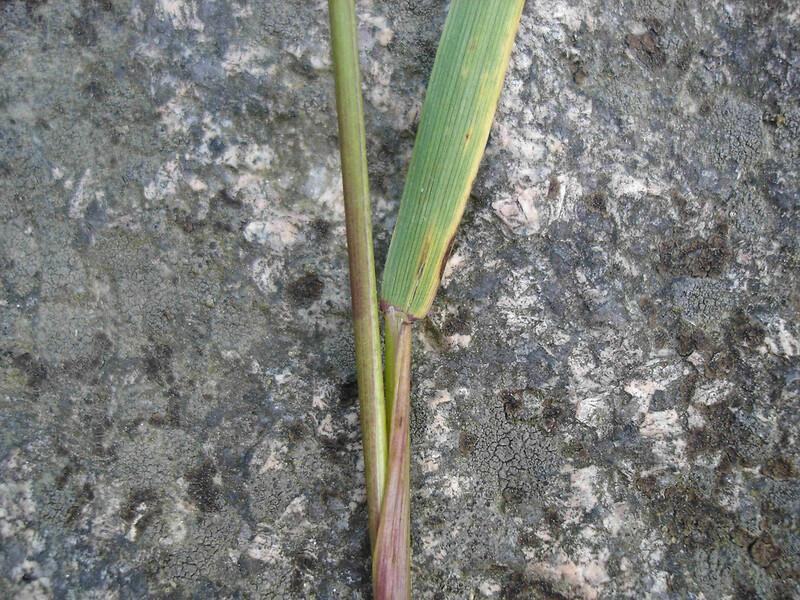 Elymus virginicus L. var. virginicus is known from CT, MA, ME, NH, RI, VT.E. 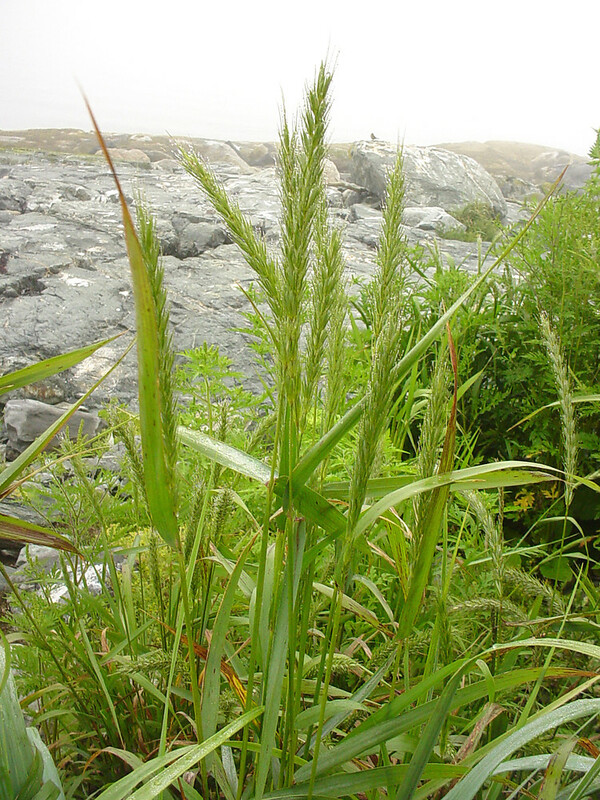 virginicus var. 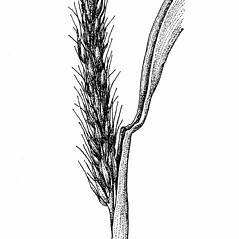 halophilus (Bickn.) Wieg. is known from CT, MA, ME, NH, RI.E. 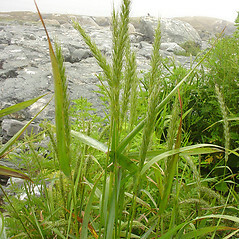 virginicus var. 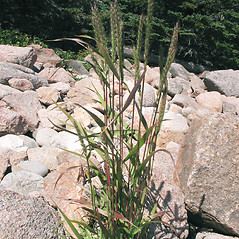 intermedius (Vasey ex Gray) Bush is known from CT, MA, ME, NH, RI, VT.E. 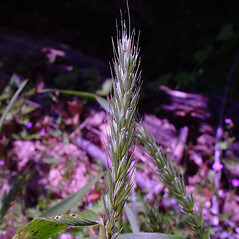 virginicus var. 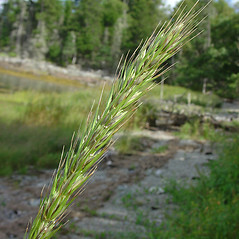 jejunus (Ramaley) Bushis known from CT, MA, ME, NH. 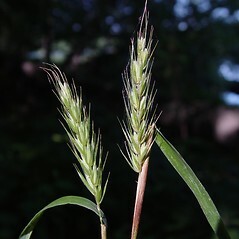 Varieties intermedius and jejunus are less common than the other varieties. 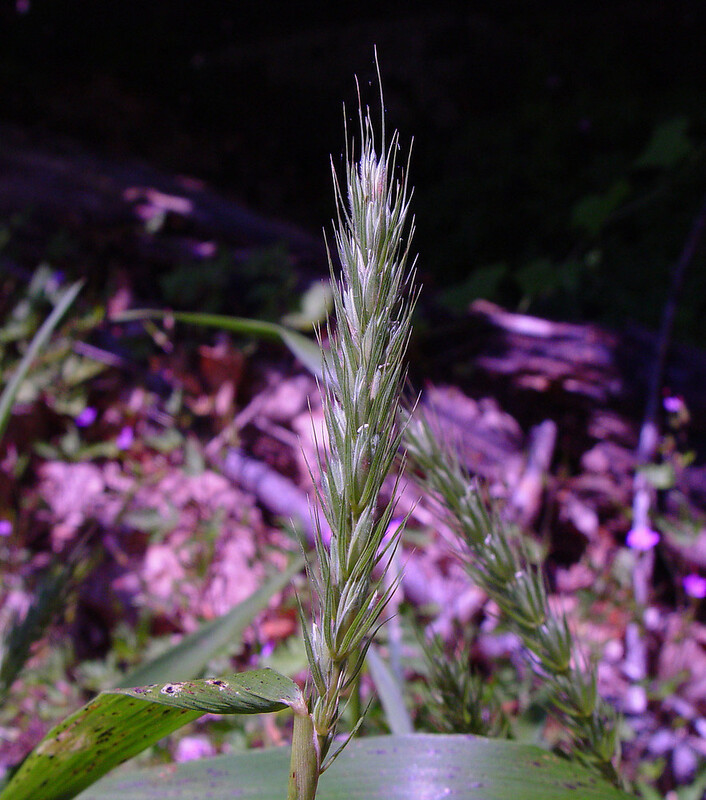 common eastern wild-rye. 10a. 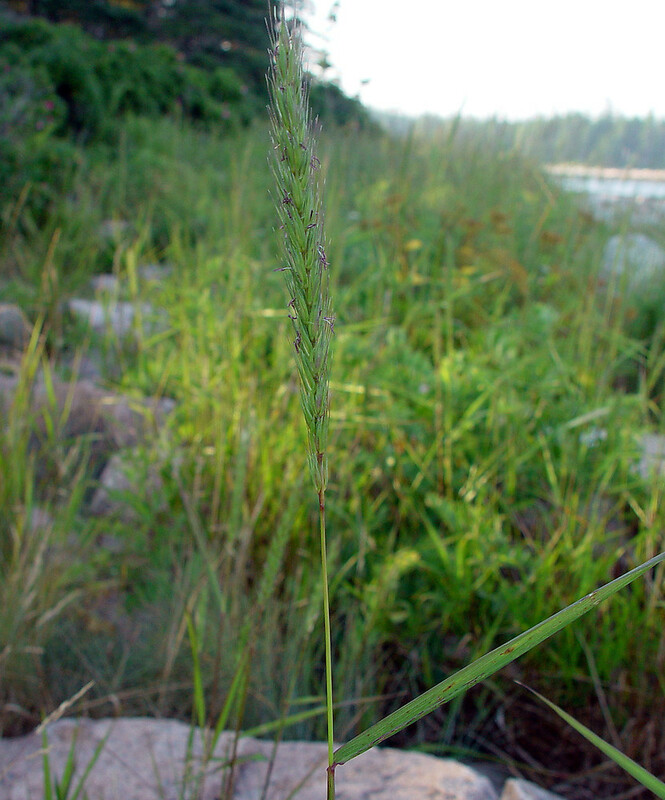 Elymus hirsutiglumis Scribn. 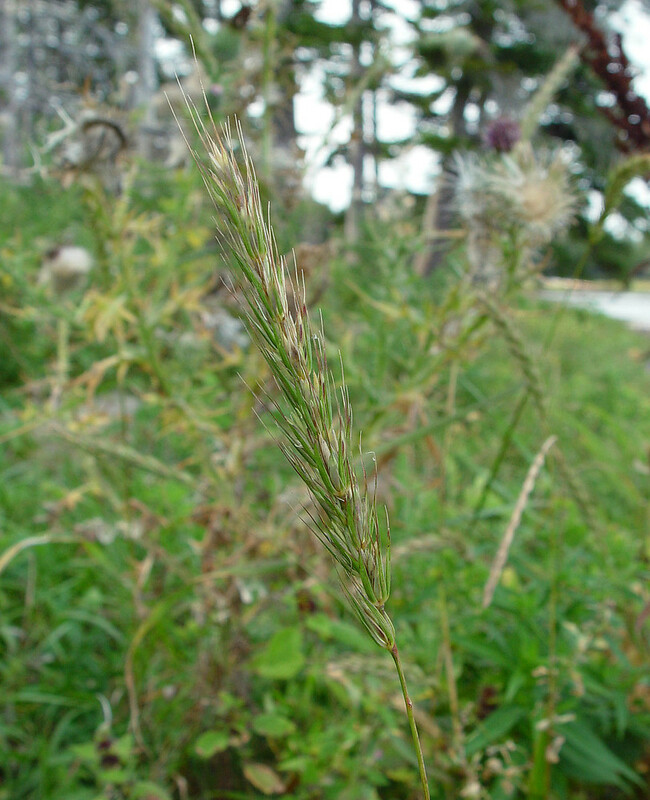 ; E. virginicus L. var. 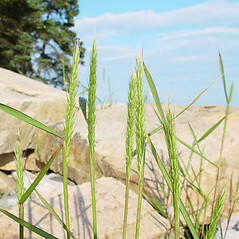 hirsutiglumis (Scribn.) A.S. Hitchc. 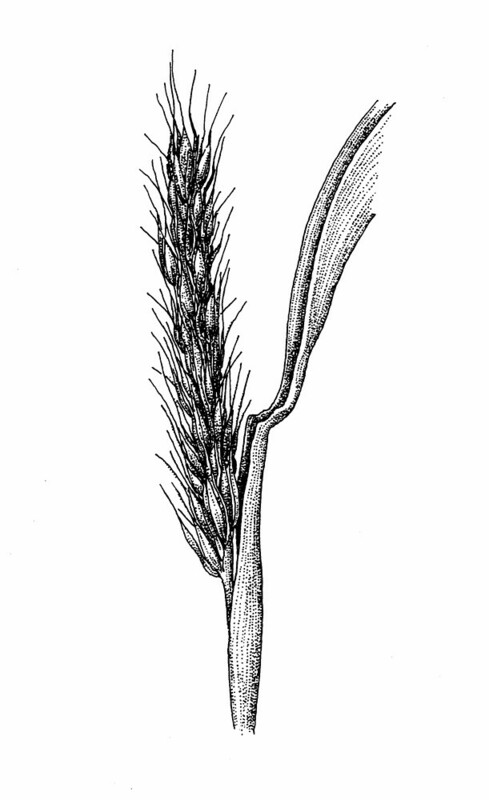 ; 10b. Elymus striatus Willd. 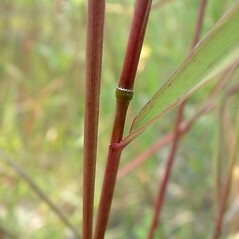 ; 10c. 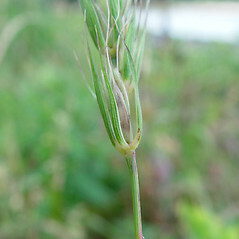 Elymus halophilus Bickn. ; 10d. 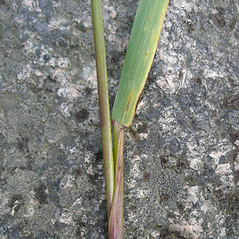 Elymus jejunus (Ramaley) Rydb. 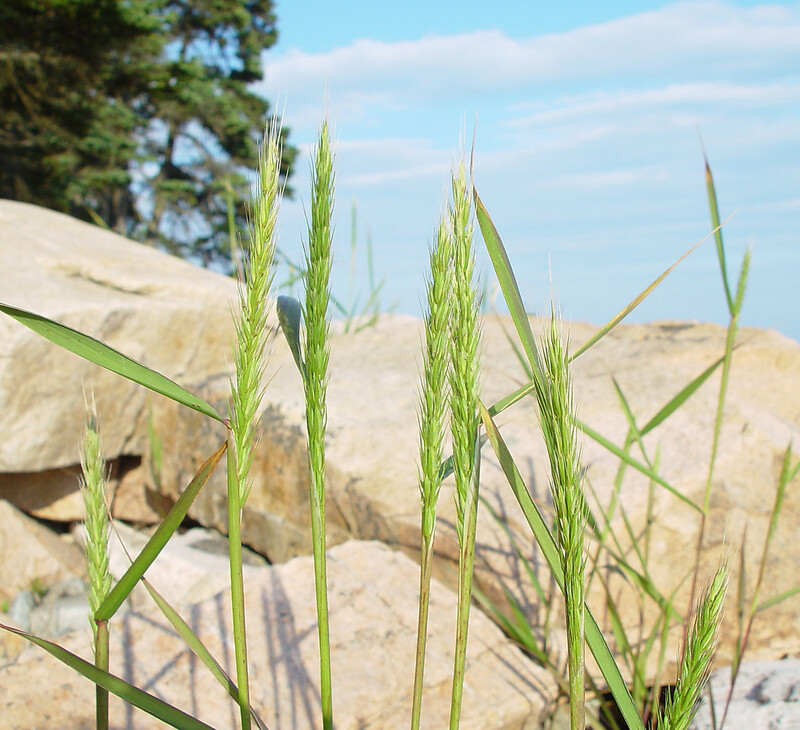 • CT, MA, ME, NH, RI, VT. Riparian forests, river banks, rocky forests, cliff bases, coastal beaches, upper margin of saline marshes. 3a. 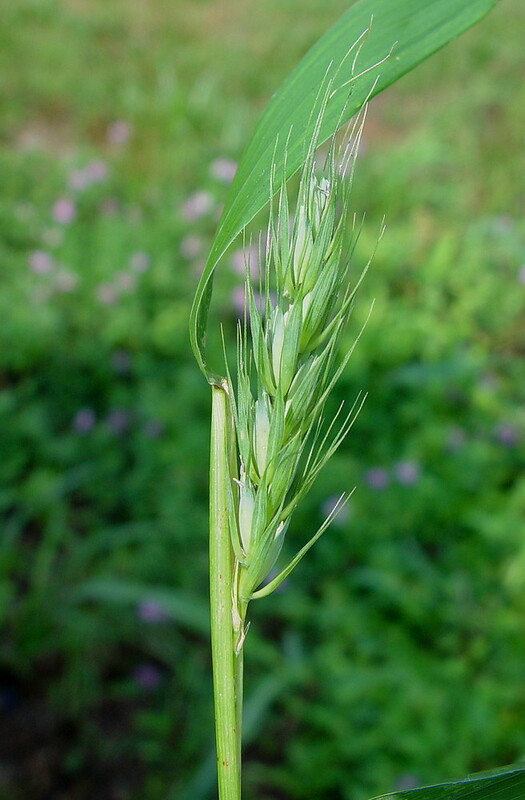 Reproductive stems mostly 3–8 dm tall, with 4–6 nodes; leaf blades 2–9 mm wide, becoming involute; spikes 3.5–11 cm tall, strongly glaucous; glumes indurate in the basal 1–2 mm … 10c. 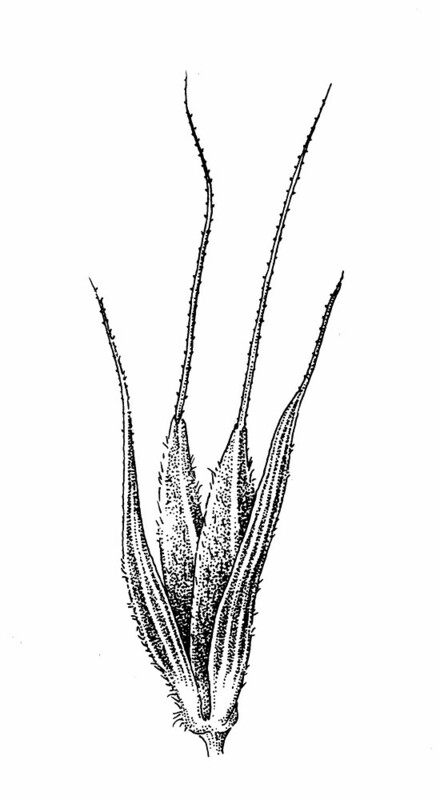 E. virginicus var. 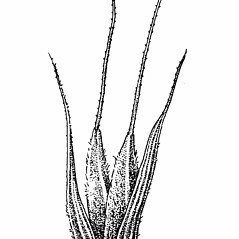 halophilus (Bickn.) Wieg. Variety intermedius is known from CT, MA, ME, NH, RI, VT. 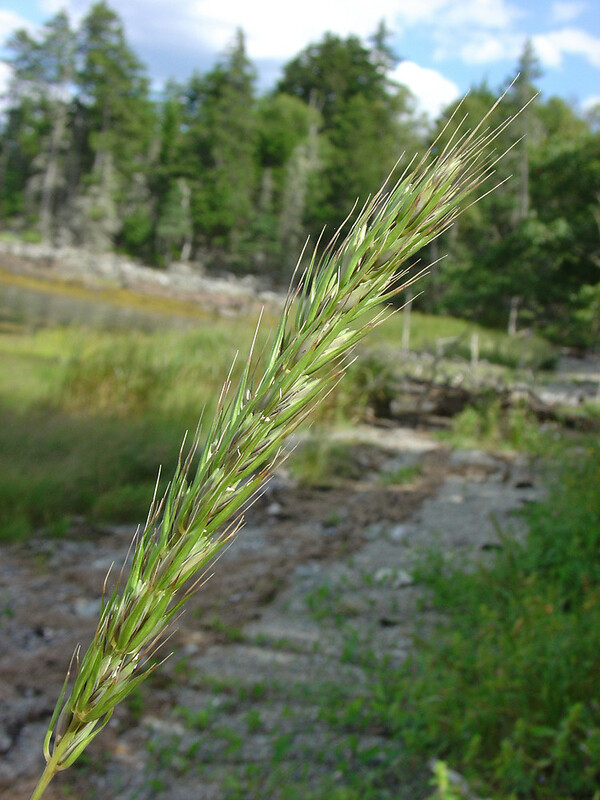 Variety virginicus is known from CT, MA, ME, NH, RI, VT. 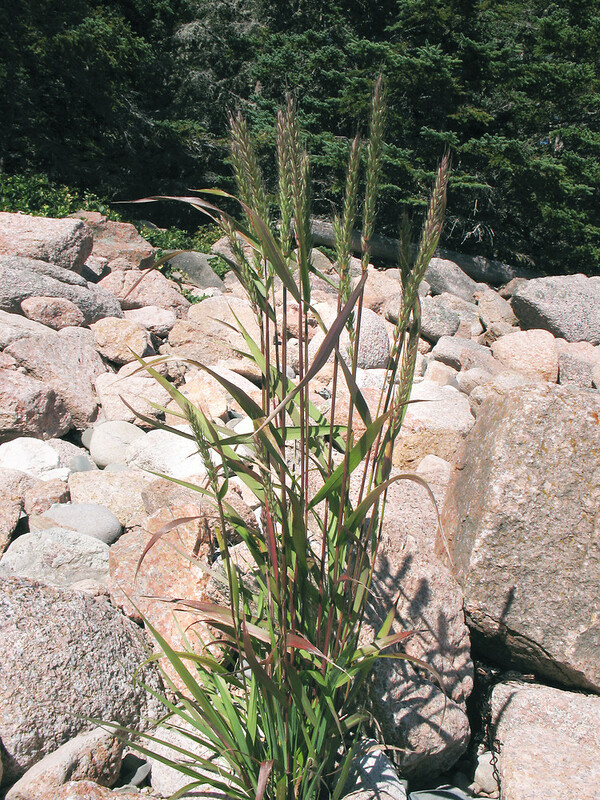 Variety halophilus is known from CT, MA, ME, NH, RI. 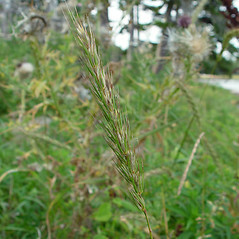 Variety jejunus is known from CT, MA, ME, NH. 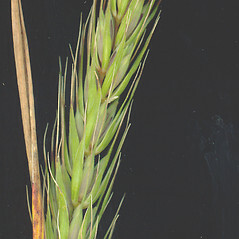 Varieties intermedius and jejunus are less common than the other varieties.